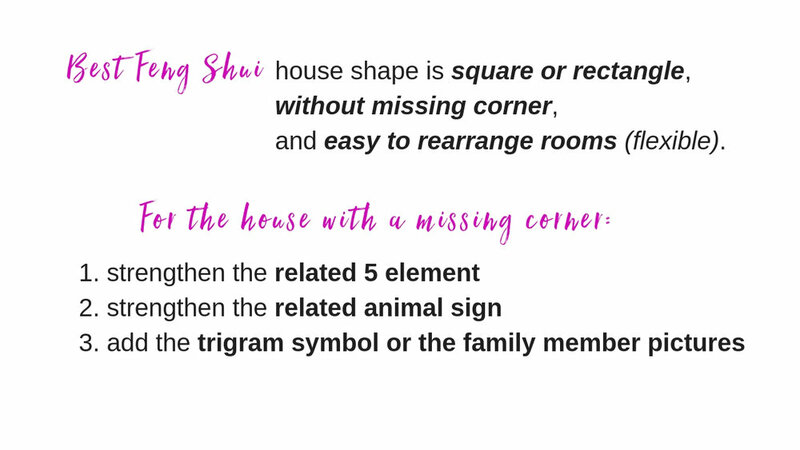 The best Feng Shui shape of the house plan traditionally should be square or rectangle without any missing corner. 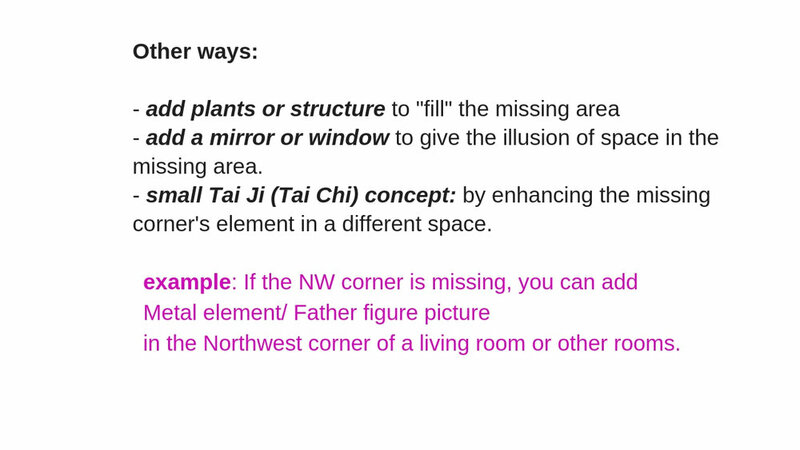 Any missing corner could mean problems and imbalance. It is not easy to remedy the situation. 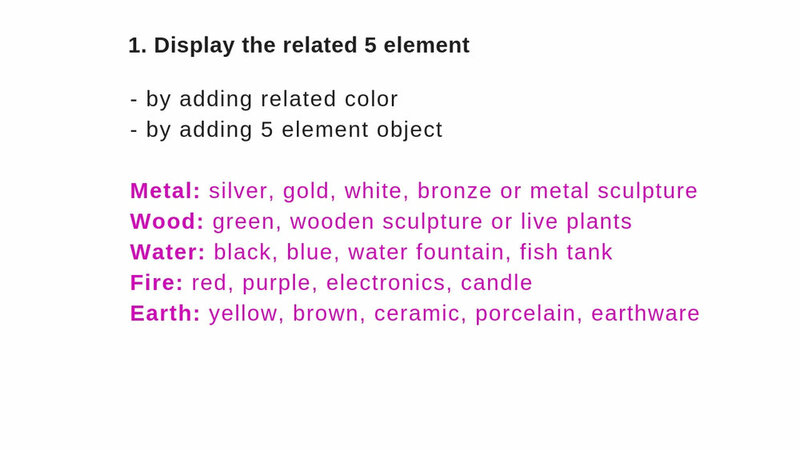 The video shows several ways to enhance the Qi of the missing corner by adding the related element or object in the Ba Gua chart. 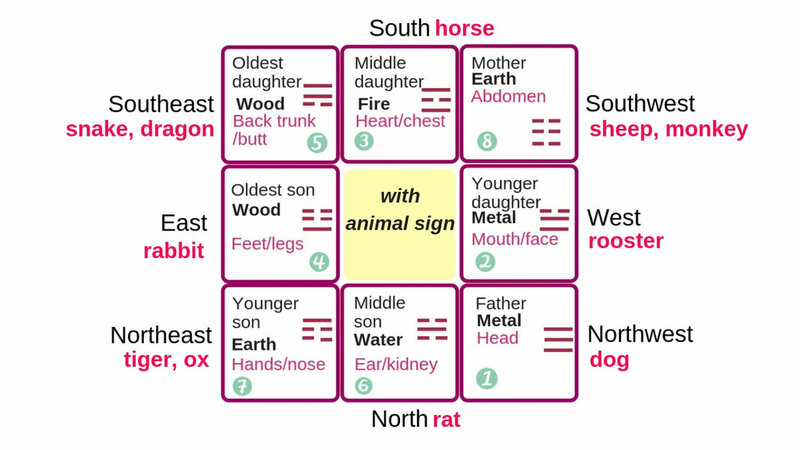 Feng Shui Bagua chart with related family member, body part, etc.